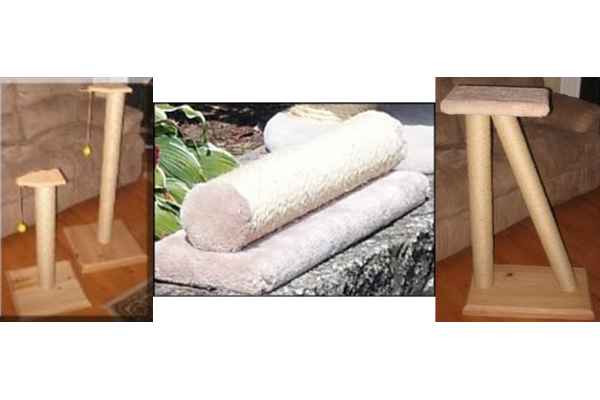 Cloud 9 Cat Trees – "Nothing but the best for your cat"
Great Strength – all wood construction. The Rope – the best from Brazil. Customisable – to fit your needs. Availability – anywhere in North America. "I just purchased the best-looking and most functional cat tree on the market. The look of the tree works with my decor and is built to last. 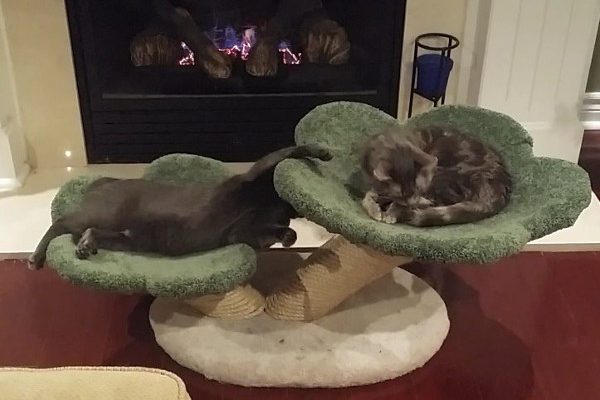 Other cat trees I purchased in the past only lasted for a short time and fell apart., this is why I decided to buy a Cloud Nine cat tree. My cat Luey loves laying on the saucer, which contours to his body; he especially enjoys the hammock for his lazy days. I have worked in the pet industry for over 20 years and would recommend this product 100%." 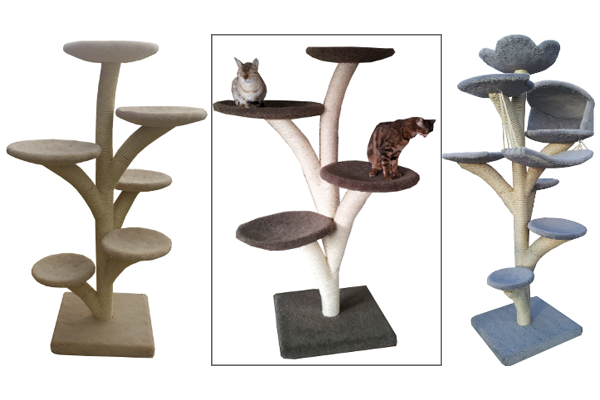 Welcome to the new home of Cloud 9 Cat Trees, prestigious cat furniture handcrafted in Canada and built to the highest standards. 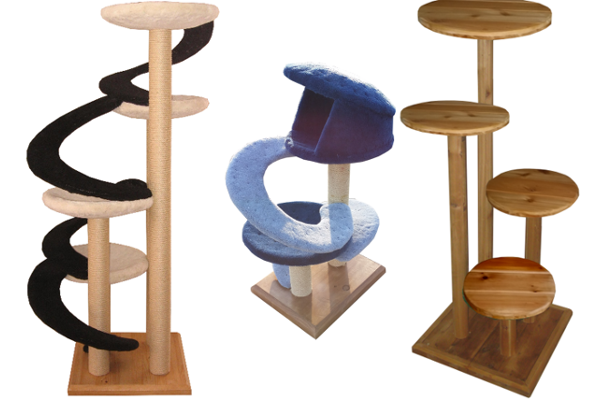 If you have ever asked the question where can I find a really well-built cat tree, you have found exactly what you are looking for. I hope you enjoy browsing the products and I welcome any feedback, including suggestions and special requests. When absolutely nothing but the best will do! A great reduction in the risk of allergies for the cats and their owners. All wood trees are built from Western Red Cedar, can be used outdoors and are highly recommended in outdoor enclosures. Ramps between the levels for the cat to walk up and down on a gentle incline.. 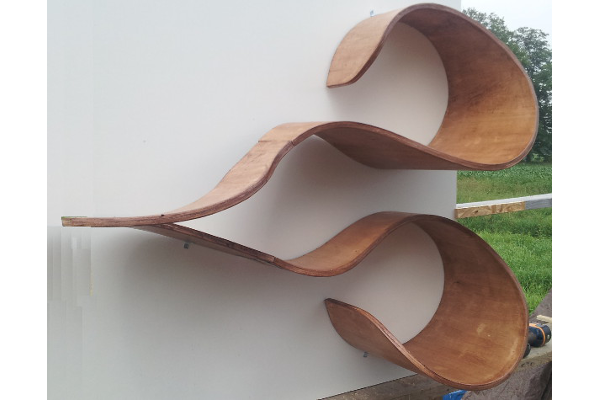 Single level trees, single and double lily pads, scratch posts, various wall shelves. 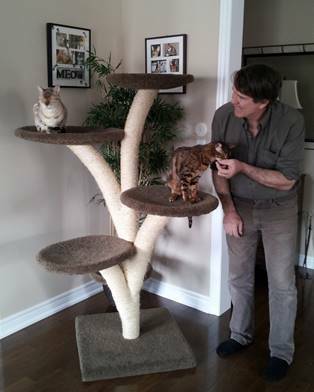 Cloud 9 Cat Trees was founded in 2007 by David Harvey and is located in Maple, Ontario, Canada.